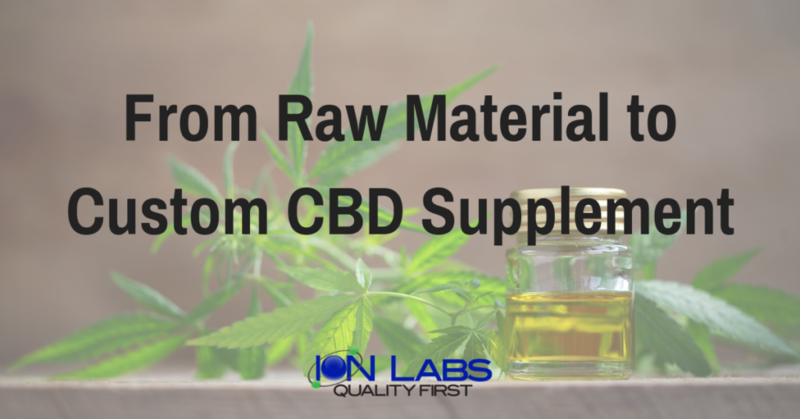 With the legalization of hemp cultivation and the commercial products derived from hemp, Ion Labs has emerged as a leading manufacturer of custom CBD supplements. Manufacturing CBD products is a complicated process that requires extreme caution, state-of-the-art equipment, and highly skilled staff to retain the benefits and purity of CBD oil in the products. 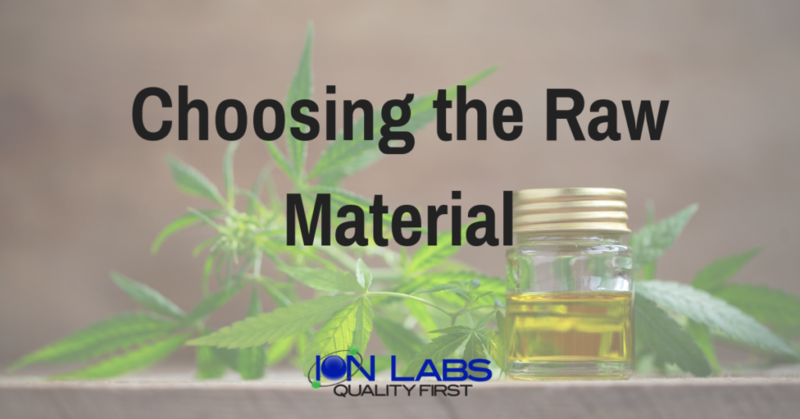 Therefore, it’s imperative that you choose a trusted, well-established manufacturer like Ion Labs. Ion Labs has been around since 1983, providing research and product development services to the biggest names in the dietary supplement industry. 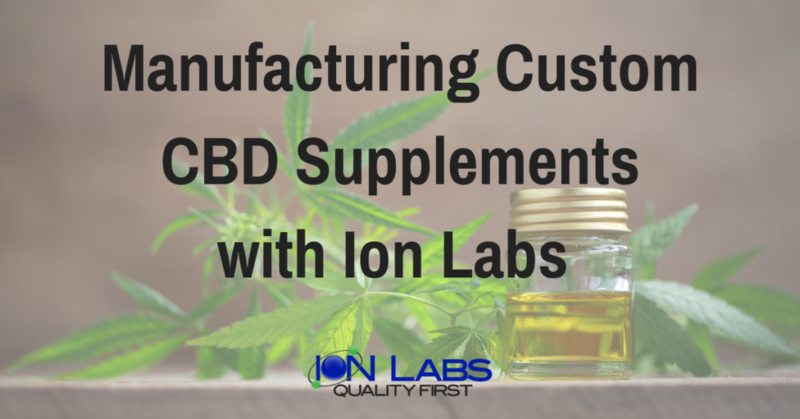 This article will guide you through the complex and intricate custom CBD supplement manufacturing process carried out at Ion Labs which ensure that the product that reaches your shelves is of top-notch quality. Regardless of the quality of the equipment and qualification of the staff, it is almost impossible to obtain high-quality CBD oil from substandard hemp plant that has been neglectfully cultivated. Our custom CBD supplements are sourced from regulated farms that produce hemp strains that are high in CBD and low in THC. These carefully cultivated hemp strains are tested for quality and their CBD content before reaching the manufacturing facility. The hemp strains are dried in specialized chambers. These dried strains are finely ground before entering the next stages. Our in-house experts are careful in carrying out tests at each manufacturing stage to ensure that the CBD contents of the raw material are preserved and to detect any possible contamination. Food-grade solvents like ethanol and CO2 are used to dissolve the active ingredients from the raw material. This step is where you can easily distinguish a careful manufacturer from a shoddy one. Inferior manufacturers will use low-quality solvents that can be detrimental to consumers’ health. Once the solution is ready, our in-house experts will decide a filtration method that is suitable for the specific custom CBD supplement. Different filtration methods yield different end results and require different equipment. Ion Labs prides itself in having cutting-edge equipment along with qualified processing engineers that know how to make the best out of the facilities. In fact, the CBD oil is repeatedly subjected to distillation and chromatography to ensure a high concentration of CBD in the CBD oil. After acquiring active ingredients through filtration, these are subjected to distillation. Distillation is another one of those intricate processes that require extreme care, robust machinery, and highly-skilled staff. Ion Labs utilizes leading-edge technology to control temperature, pressure and vacuum manipulation to obtain a concentrated CBD oil. This makes sure that the final custom CBD supplements you get have adequate CBD content. Ion Labs offers various custom CBD supplement formulations that can be ingested, inhaled or applied topically. We use high-quality, food-grade carriers and excipients for our final formulations. As a result, you receive Custom CBD products like capsules, tablets, tinctures, vape oils, and creams. Each formulation serves various purposes and can be suitable for unique business requirements. 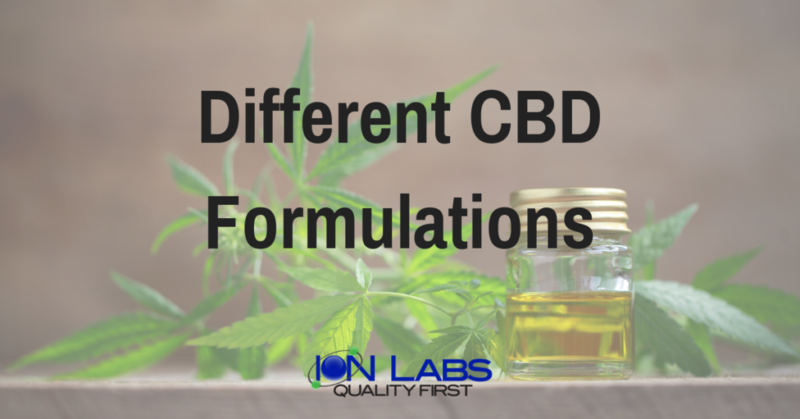 No matter the type of CBD manufacturing service, Ion Labs can formulate a custom CBD supplement that will meet your needs. What to expect when choosing Ion Labs? Working with Ion Labs will be a hassle-free, pleasing experience for you and your business. Our customer care department is always there to satisfy your concerns and understand your needs. If you’re new to the Hrmp Extract/CBD business, partnering with Ion Labs will take away the many concerns of developing custom CBD supplements, and you can focus solely on establishing and expanding your line of CBD products.